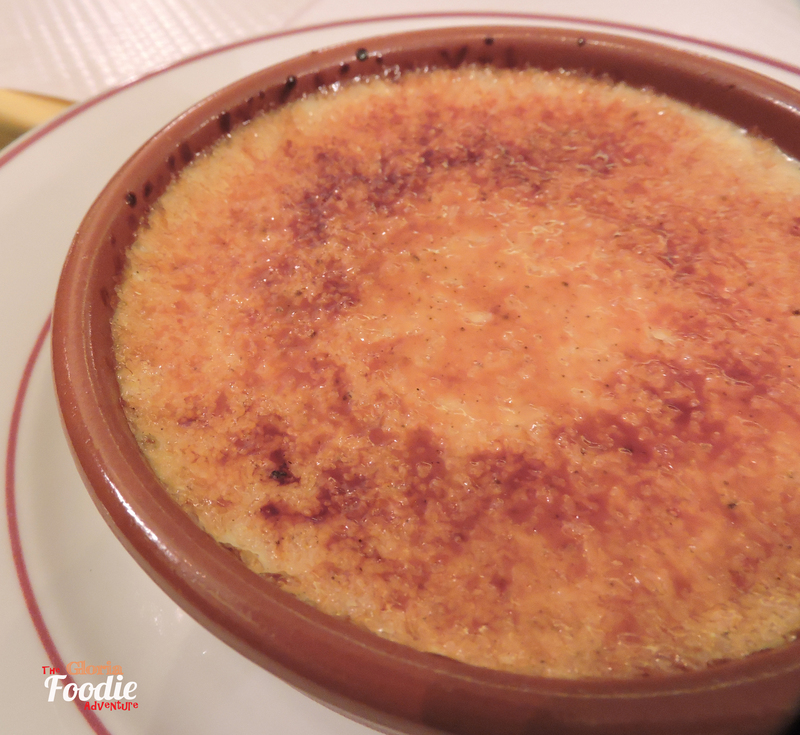 le “Relais de l’Entrecôte brought the French Bistro style to Hong Kong and set up its the one and only branch in Asia. 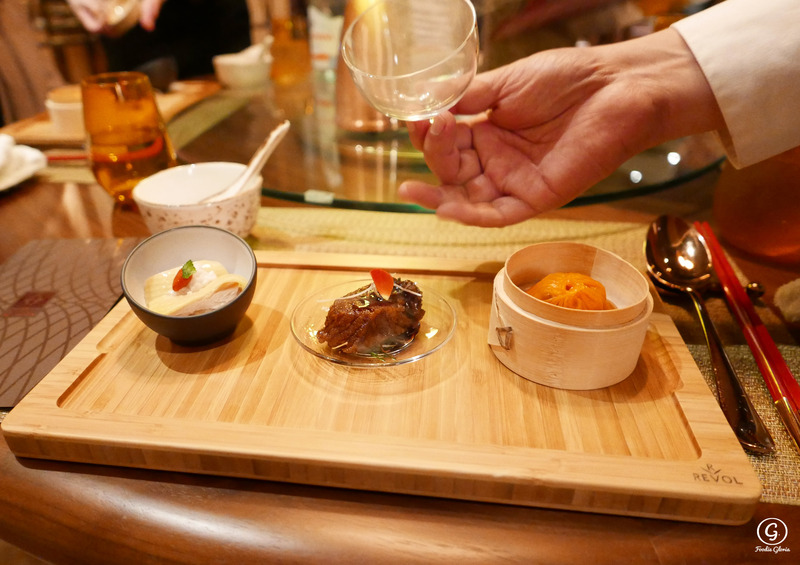 Restaurant operates with the same principles – No Menu and No Reservation. So lucky that friends arrived early to get a table. As a new hit in town , it may not be easy yo get a table at night. 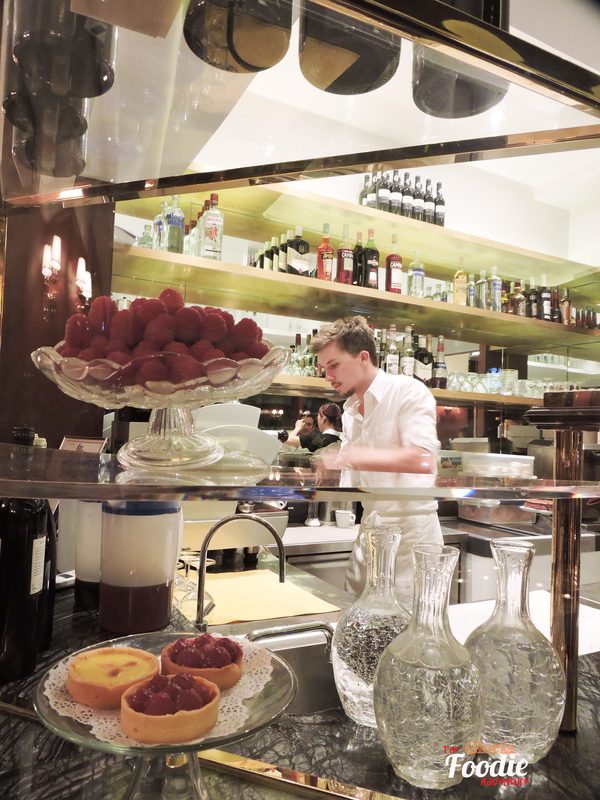 Once entered the restaurant, a handsome bartender and servers preparing the dessert was the first attraction. After seated, the server quickly brought us some bread. Since there is no menu but salad, steak & fries, the server promptly asked us how we wanted the steak to be cooked and I ordered a set of rare. 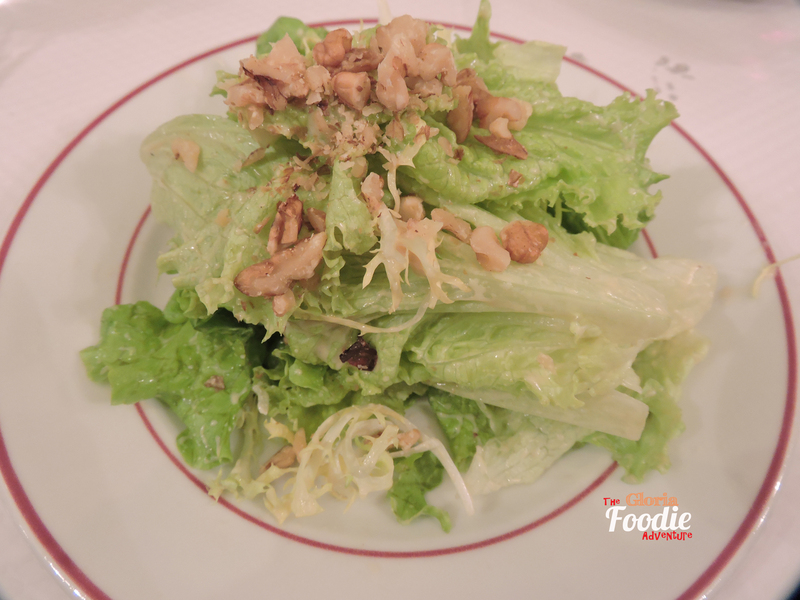 The green salad with walnuts was very refreshing with the mustard dressing. 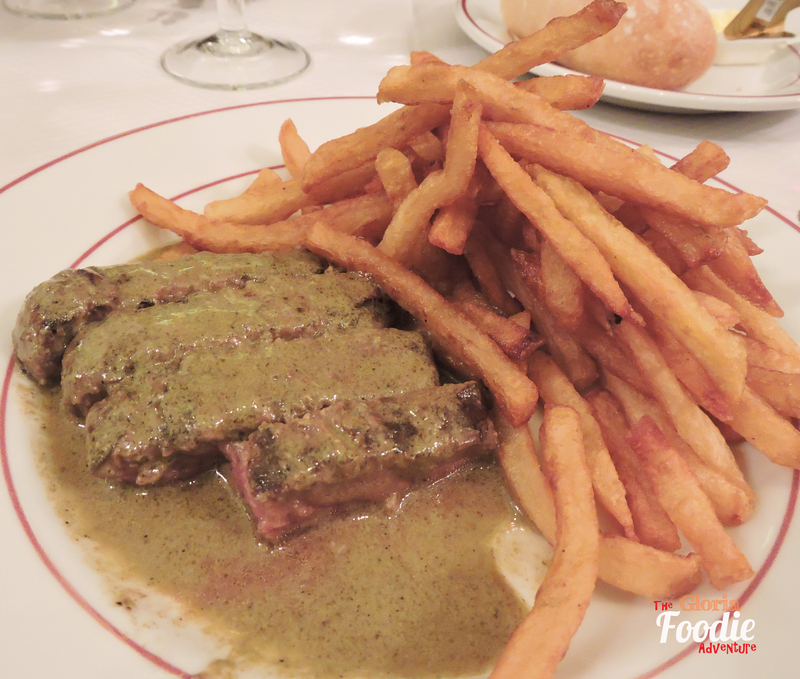 Server brought us the contre-fillet steak and fries in a sterling silver platter in order to keep the best temperature. 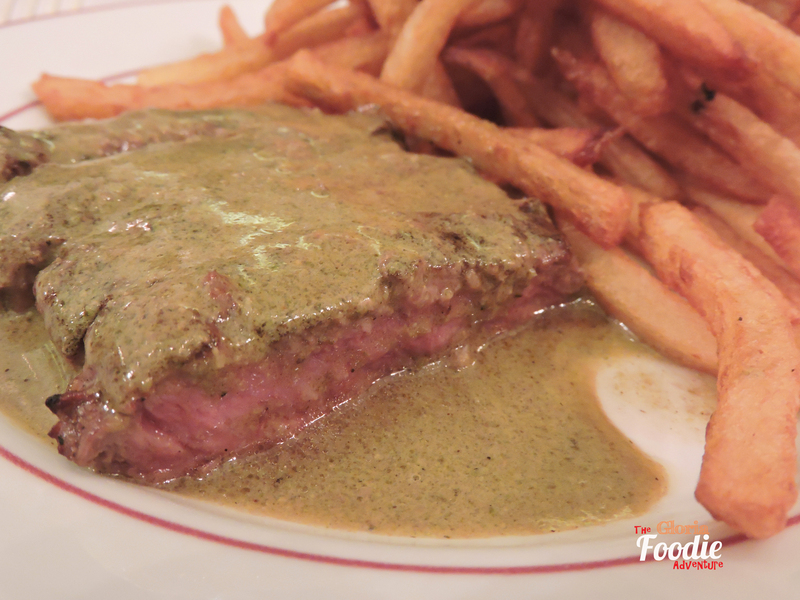 Then server distributed half portion of steak and fries onto individual plate and served. 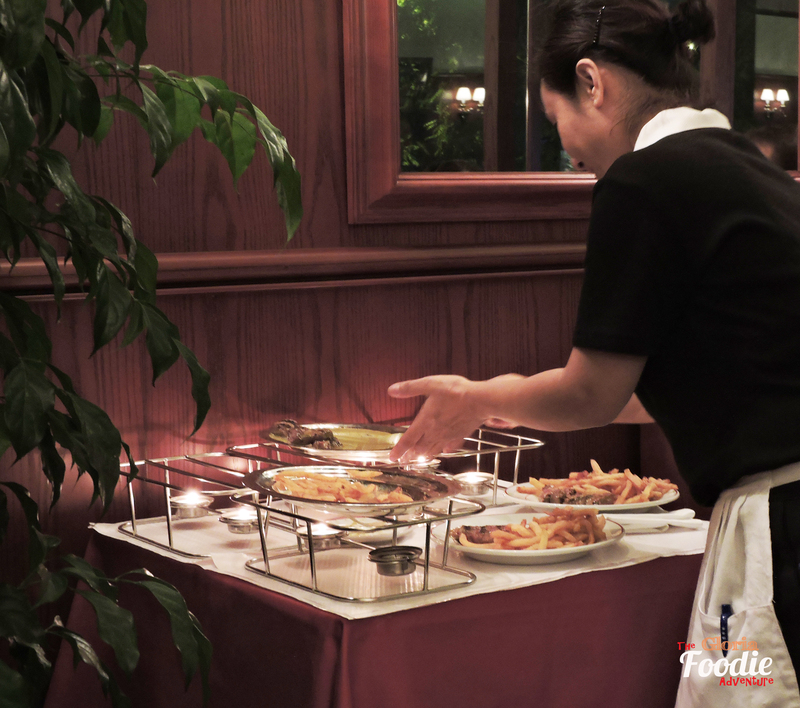 The second half portion would be kept on the sliver platter with candle underneath. See how tender the steak is. Since the cooking temperature is relatively high, the steak was cooked to medium rare but still quite juicy. Restaurant uses USDA Prime steak which is one of the top quality steak in the world. Home-made fries was so fresh and with a bit of sweetness. Couldn’t stop myself from eating it! 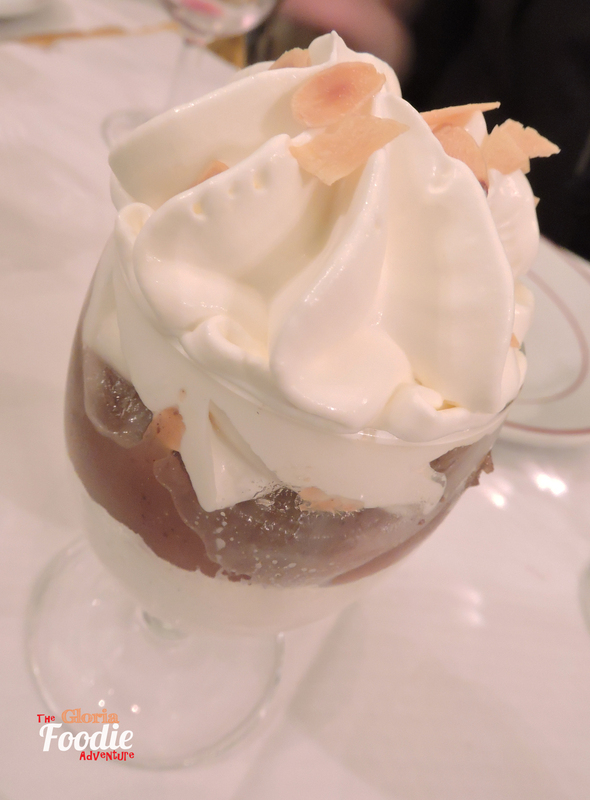 The dessert menu is as attractive as the steak as there is a selection of around 20 desserts on the menu. Good to try some of them this night when we had quite a group of people. 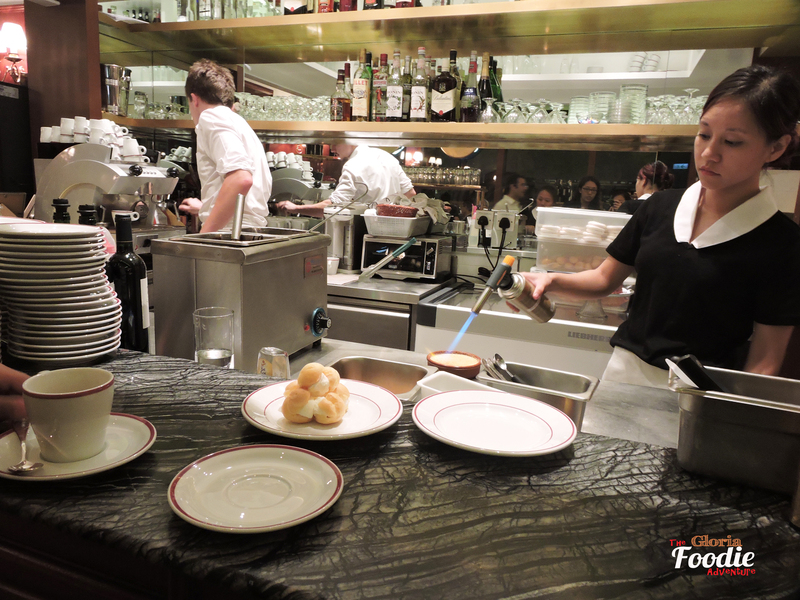 le Vacherin d’ete was one of the highlight here! With the red and white presentation, it looked so colorful and attractive. 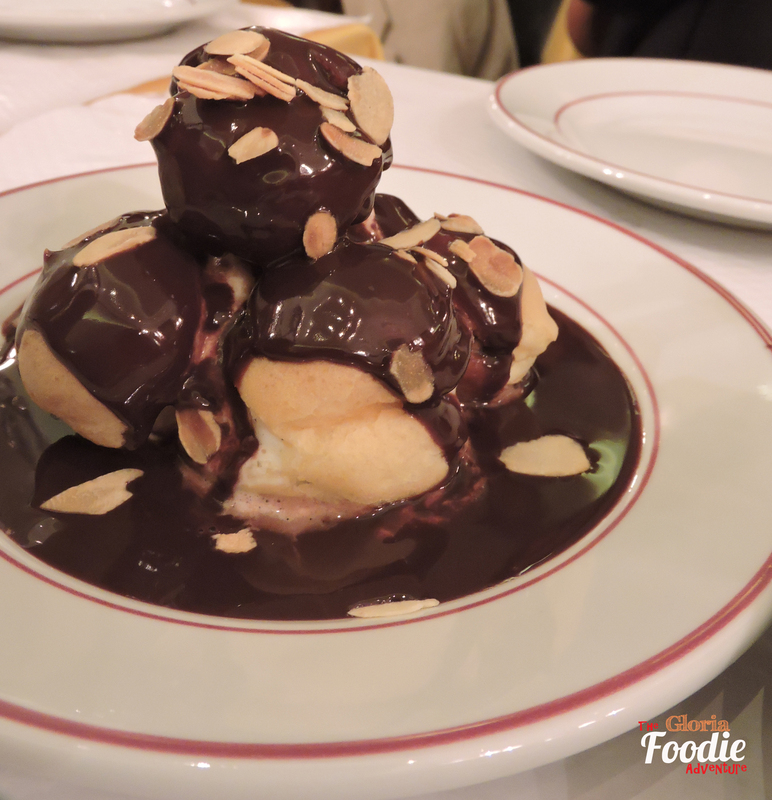 Profiteroles au Chocolate would always come to your mind when you think about French dessert. The rich chocolate sauce gave a contrast to the cool puff. Awesome! Another attractive one, which is also my favorite is the ‘Relais’ Tulip. 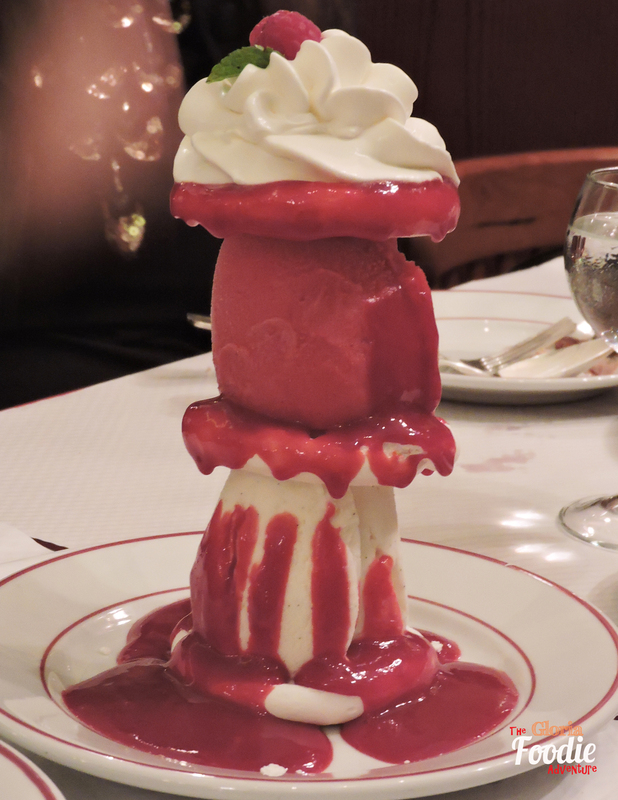 The cream and raspberry on top looked so adorable. 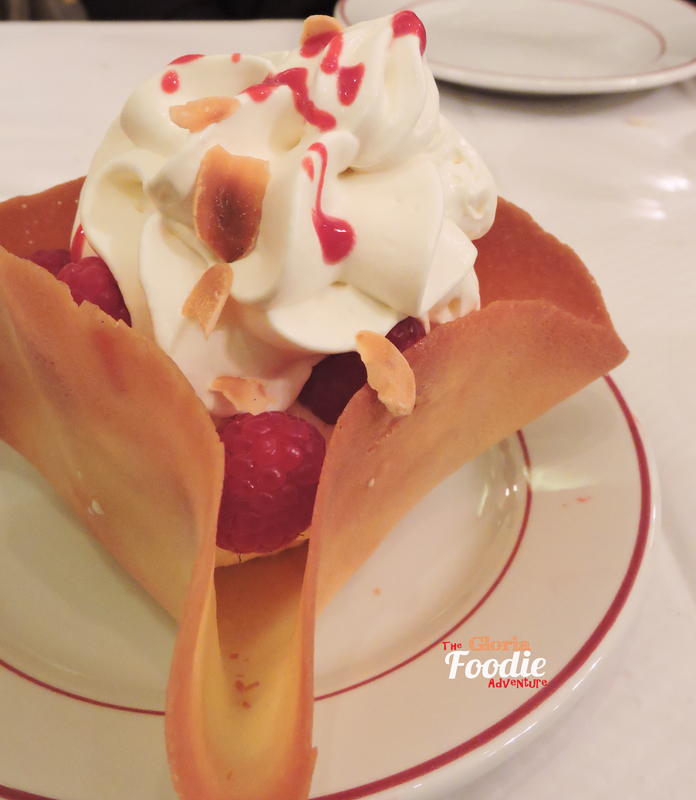 Once you cut it opened, it’s filled with vanilla ice-cream! Besides the above 3 desserts to recommend, cheese platter, crème brulèe and mont blanc were also quite delicious. 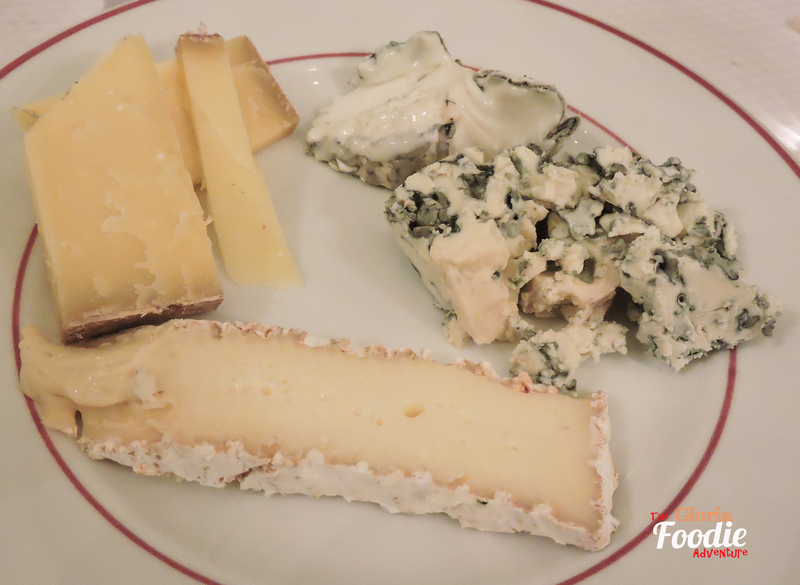 The cheese platter, served with 4 different types of cheese, was a good match with the French Baguette. If you want to try more desserts, make sure to come with a group of friends!